"The Union Cycliste Internationale (English: International Cycling Union) is the world governing body for sports cycling and oversees international competitive cycling events. The UCI is based in Aigle, Switzerland. The UCI issues racing licenses to riders and enforces disciplinary rules, such as in matters of doping. The UCI also manages the classification of races and the points ranking system in various cycling disciplines including road and track cycling mountain biking and BMX, for both men and women, amateur and professional. It also oversees the World Championships." 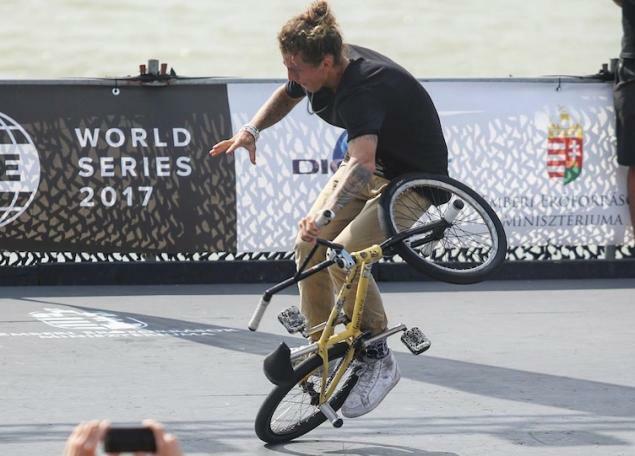 Having a UCI World Cup certainly has the potential to give flatland more exposure and a professional platform. On the other hand it means there will be a certain set of rules for the UCI events and we'll see how well flatland can fit into those rules. We think it's a step in the right direction and a chance for flatland to grow. FISE and the UCI teamed up which means the FISE World Series events are going to be part of the UCI World Cup: "FISE World Series has teamed up with the main international federations to organise some of the biggest action sports competitions of the early season. Spectators can witness riders taking part in events such as the UCI BMX Freestyle Park World Cup and the UCI BMX Freestyle Flatland World Cup." Besides the short announcement on Instagram there are no further information available yet but stay tuned!